The Proton Impian (also known as the Waja) is the Malaysian firm’s largest model. 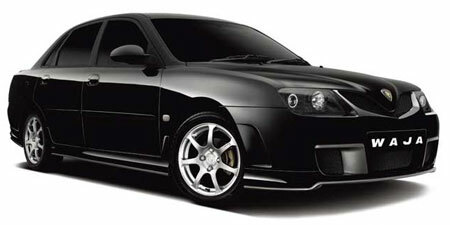 Lotus has influenced the cars ride and handling which has benefited the Impian greatly. The car’s materials aren’t of the best quality but the car does deliver an excellent ride. There is only one engine on offer, the 1.6 petrol engine from Mitsubishi. The engine is economical to run but must be worked hard to deliver maximum performance. The Impian’s handling is direct and the car is responsive and the car’s ride quality is good. The Impian provides a better ride quality than its predecessors buyers will be impressed by the quality of the ride. The Impian can comfortably seat five with plenty of head and legroom. The rear seats utilize a split-fold system to provide better cargo carrying capabilities. The boot is decent and should accommodate most items. The car comes with a three year, 60,000 mile limited warranty. The Impian is still overpriced for what is being offered. Dealers are few so finding a dealership for servicing may prove to be difficult. The Impian faces real competition among rival brands. Rival brands offer a competitive ride quality with better kit and a better quality of materials. Buyers will surely notice the difference between the car’s price and what is offered. The car’s purchase price is too high for what is on offer, but the three year warranty should help. The car will also depreciate fast and provide low resale value. The car provides adequate space for five passengers. Head and legroom are good but elbow room can be tight at times. The car’s boot is a practical size and can accommodate a good deal of shopping or other larger items. The rear seats split and fold in order to accommodate even larger items. The car’s controls and dials are simple and logically placed. Everything is functional and easy to use. The Impian’s displays are large and easy to read. There isn’t anything too complex about the Impian’s switchgear. The Proton Impian delivers good levels of passenger comfort even on longer trips. The car’s cabin space creates a pleasant atmosphere even though cabin materials come across as cheap. The car’s ride is smooth and comfortable. The car’s cabin provides good accessibility. The car’s doors open widely providing a wide door aperture for easy access. Passengers can slide easily into the car’s seats. The car’s boot is easily accessible as well with a large aperture making loading and unloading easy. The Impian is simple to park. The car provides good all-round visibility and handles well at low speeds. The car’s large side mirrors make parking the Impian easier and the car’s extremities are easy to judge. The Impian delivers a smooth and competent ride. The car’s engine is not fast or powerful, but it delivers enough power to provide a very smooth ride. The engine is at its best when worked hard. The car boasts excellent handling. The Impian could be used as a family car. The car seats five easily and comfortably. The car’s boot is practically sized and can accommodate most family related items. The split fold seats also come in handy when carrying larger cargo. This is not a good first car. The Impian is too large and expensive for most first time buyers. The car also lacks the features that most first time buyers seek. The car is easy enough to drive and park but is an unlikely first car. Proton’s warranties say a little something about the reliability of their automobiles. The car’s engines and mechanics should hold up fine, it’s the interior that will probably not wear as well. Proton is seen as a manufacturer of inexpensive cars. The challenge will be for the company to manufacture inexpensive cars without making them so cheap that they aren’t desirable. 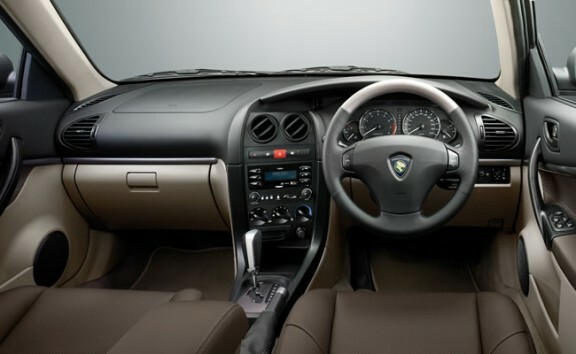 The car’s standard security features include a security alarm with an engine immobiliser. Since the Impian is unlikely to be targeted by thieves the amount of security on offer should be sufficient. The car’s standard safety features include driver and passenger airbags, side airbags, and ABS. The car scored a three star rating on the Euro NCAP which is rather poor for a modern car. The car’s standard audio features include a radio and cassette player. Higher spec models receive a CD player. The basic system boasts good sound quality. All models come with power steering, electric windows and mirrors. The Impian also comes standard fit with air-conditioning, front fog lights, tinted windows, traction control, and alloy wheels. Higher spec models receive climate control, leather trim and electric heated folding door mirrors. The Proton Impian faces an uphill battle. Most buyers won’t even consider the Impian, it is a relatively unheard of car and even buyers who run across it will likely choose rival brands due to better value for money, higher equipment levels and better quality of cabin materials.